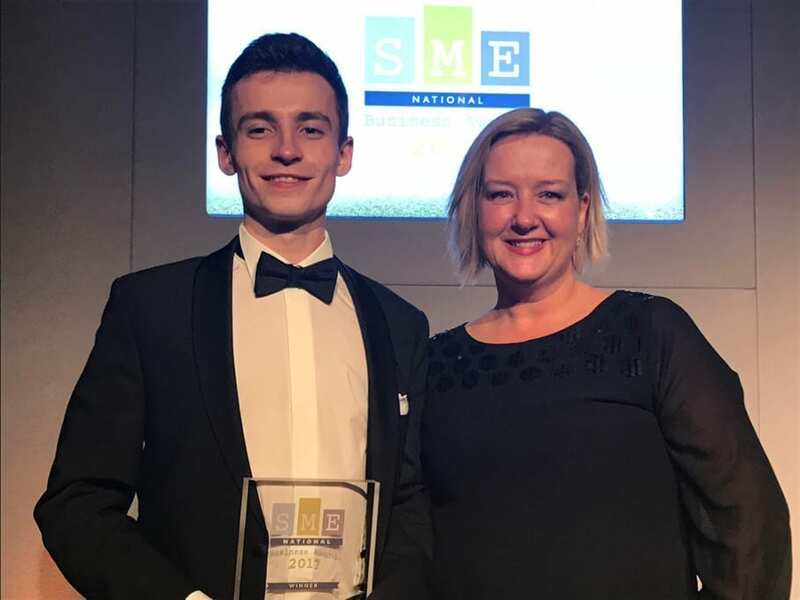 Surrey has a new rising star in Andrew Doyle, aged 20, who has won the prestigious Apprentice of the Year accolade at the SME National Business Awards. Andrew has worked as an apprentice at Woking-based Invotra for over two years and overhauled the accessibility of its digital workplace services. Andrew has worked hard to improve accessibility for people with visual impairment across Invotra’s intranet services, which are used by 45% of central government. He has received mentoring support from government accessibility consultant Leonie Watson, who lost her sight to diabetes. Doyle has championed Invotra’s approach to accessibility which is now given prominence during product design. All new features and improvements are tested to ensure that they work effectively for people with visual impairments as well as accessibility software users. Andrew Doyle joined Invotra as a Software Developer Apprentice in 2015, graduated to Level 3 and is now planning to further his career to degree level, probably in analytics. He is a former pupil of The Wavell School and Farnborough Sixth Form College, Hampshire. If you want to know more about apprenticeships then take a look at our apprenticeships page. Invotra is a fast-growing digital workplace company providing online software services designed to transform information systems, improve efficiencies and employee collaboration. The company was established in 2012, by a team of experts with decades of experience. In that time, Invotra has quickly become a trusted supplier to UK government, delivering an easy to use and highly secure digital workplace. Clients include the UK’s Home Office, Department for Work & Pensions, Department for Transport and HMRC. Invotra has offices in Woking, Newcastle, Dublin and Denver.